If you are looking to climb Mount Toubkal, your starting base will likely be the bustling city of Marrakech. Your tickets are booked, your beach holiday on the coast is taken care of and you have broken in your hiking boots. All you are looking for is where to stay in Marrakech. It is a question we get very often and along with the help of our partners in Morocco, we are here to point you the way. This 1000-year old city is located on the foothills of the Atlas Mountains and from here our partners offer trekking and climbing expeditions to Jebel Toubkal, the highest peak of the Atlas. Marrakech is the fourth largest city in the country, after Casablanca, Fez, and Tangier. The city is home to a lot of buildings constructed in sandstone and is therefore known as the Red City, after the color of these sandstone buildings. The city grew fast and is a cultural, religious and trading hub for the entire Maghreb. In the medina quarter, you can find the Jemaa el-Fnaa, one of the busiest market squares in Africa. Marrakech Menara Airport (RAK) is the international airport serving Marrakech and this side of the Atlas Mountains. The airport is about 8 kilometers from the city center. If you are looking at climbing Toubkal, you either already have booked accommodation in Marrakech or you are still wondering where to stay. We get these questions a lot and together with our partners, we would like to help you out and send you in the right direction. As our partners are local and know everything about this beautiful city, we have asked them for their advice about the local riads. Are you ready to discover Marrakech? Let’s go! The old medina of Marrakech has a history of a 1000 years and this place is home to many riads. Staying in a Riad is the way to go when visiting Morocco. A riad is large, often rectangular two-store traditional house built around a small courtyard. The courtyard serves as a garden lounge in which meals are served. This also explains the origin of the word Riad, an Arabic term for garden. Riads were the homes of the richest citizens such as traders and courtiers. Especially in Marrakech, many old riads have been renovated and upgraded into guesthouses and hotels. Riads always manage to capture their original ambiance while making it as comfortable as possible for guests. Many riads also have pools, usually on the rooftop. Riad Omar used to be a hotel before it was restored and converted into a Riad. Riad Omar is situated at a stone’s throw from the famous Jemaa el-Fna and is first choice for our partners Trek in Atlas and Toubkal Guide. “The location of this Riad is just perfect”, says Hassan Amzil of Trek in Atlas. Jamal Imerhane of Toubkal Guide agrees: “It is a very convenient base for discovering the medina.” Riad Omar comes with a restaurant, free WiFi, breakfast and room service. 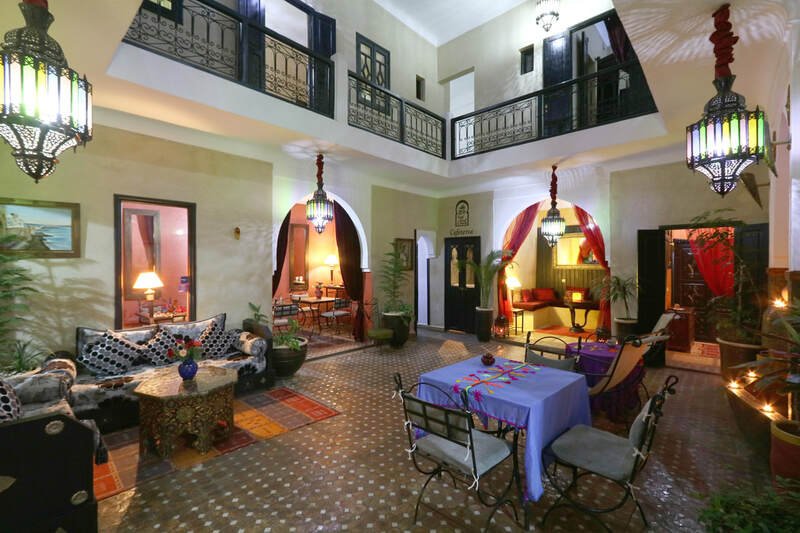 The riad naturally has a beautiful courtyard and comes with a roof top terrace overlooking the neighbourhood. Riad Africa is a combination of three Marrakech merchant houses and converted into a luxurious riad with 17 rooms. There is easy access to taxis, parking, restaurants and shops and the Jemaa el-Fna is 5 minutes away. This riad is British owned and managed by a Moroccan team. 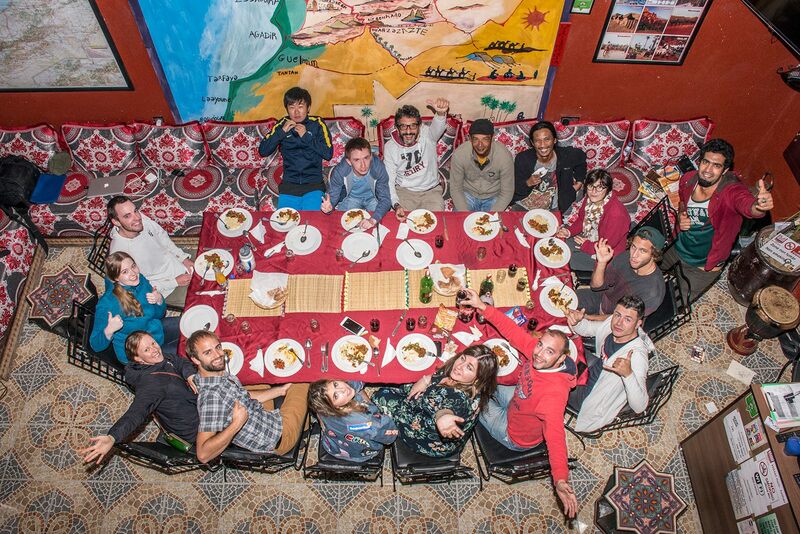 “We like to make use of Riad Africa because it offers a little bit more to people. They get a truly authentic Moroccan experience and have all the space to enjoy and relaxed”, says Imerhane. Riad Africa also has spa facilities. Trek in Atlas also likes to make use of Riad Anya, not far from the media. This riad comes with a unique Moroccan decor, a rooftop terrace and a pool in the courtyard. “This is a very beautiful riad”, says Hassan Amzil. “Jamila, the hostess always makes sure your needs are met.” Rooms are airconditioned and come with free wifi. Riad Anya is not far from the grand casino and the Saadian Tombs. Aztat Treks, another partner of Bookatrekking.com, owns its own riad in the medina of Marrakech. It not surprising that guide Mohamed Aztat of Aztat Treks named his accommodation Riad Viewpoint. After all, he is the one who takes people to the best viewpoint of the Atlas Mountains, Toubkal. “Riad Viewpoint is located next to the Royal Palace and the Jemaa El-Fnaa is nearby as well”, says Aztat. Free WiFi, en-suite bathrooms and continental breakfast are all included in a night’s stay. We fully understand that you want some luxury before and after climbing Toubkal, but we can also imagine that you do not need that much. After all, trekking and climbing is not a luxury show either. We have sourced some options for backpackers and hostel lovers. We love to stay in hostels. 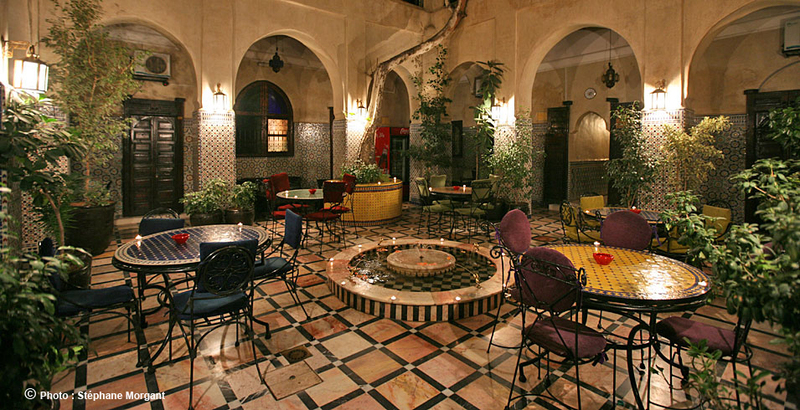 The great thing about hostels in Marrakech is that they are usually also riads. 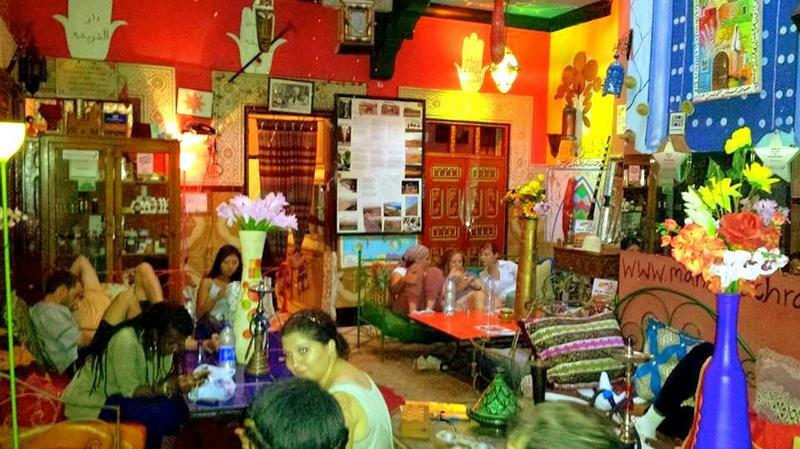 Think a riad with the buzzing vibe of a hostel. That’s Riad Dia. With its bright colors, this riad will get you in the mood for discovering Marrakech and the Atlas Mountains. There is free wifi, breakfast is included and the courtyard has a very high relax-factor. If you know some French, then you will understand the “rouge” part of the name. In this hostel, you can find at least fifty shades of red in every corner. Situated 2 minutes from Jeema El-Fna, you will find plenty of buzz and, of course, food. To get you in the spirit for Toubkal and the rest of the Higher Atlas, you can chill out in a Berber tent on the rooftop. Hostel Riad Marrakech Rouge is an all-around favorite. 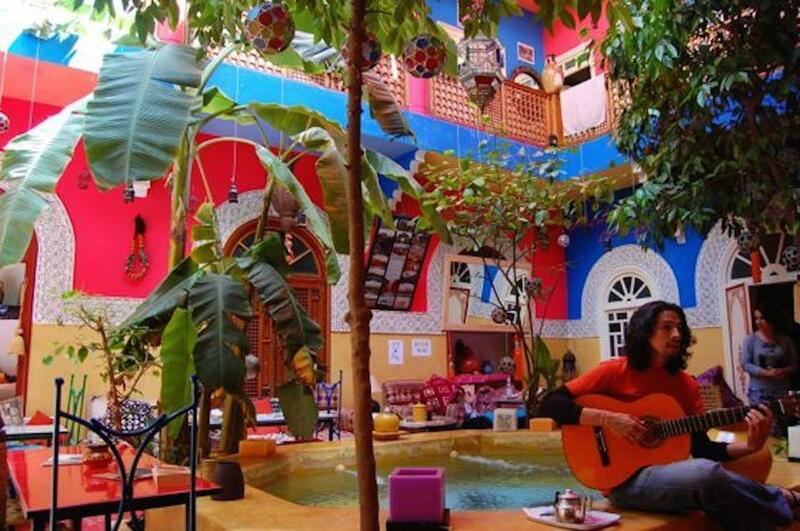 Kasbah Red Castle Hostel is a fairly new kid on the block, located in, you’ve guessed it, Kasbah. Jamaa El-Fna and the souks are nearby and you can enjoy en-suite bathrooms, luggage storage, free wifi and more. You can expect a buffet breakfast every morning and there is a restaurant with Moroccan specialties on-site. If you need any advice to arrange accommodation in Marrakech or would like to add accommodation to your Toubkal or Atlas package, you can get in touch with our trekking experts. 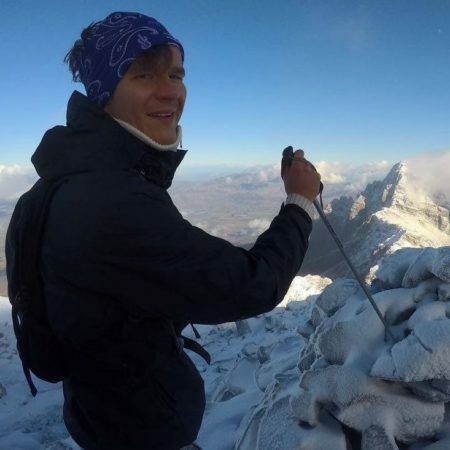 In 2012 Sierd hitchhiked from The Netherlands to South Africa and that is where he returned a year later. He currently lives in Cape Town and spends his free time running on Table Mountain. You can wake him up with a good cappuccino and ask him to write about mountains. He would hitchhike back to the Netherlands so he can climb Mount Kenya. At Bookatrekking.com you'll find the treks that will make your life unforgettable. Whether you want to discover the Inca Trail or climb the Kilimanjaro, Bookatrekking.com offers a wide and varied range of services. Here, no false promises are made, prices are transparent and every booking is confirmed immediately. Find, compare, book and trek. Get updates about new tours, travel tips, photo guides and more ! Ready in a second. Please wait while we create your trekking order.